In Arizona commercial trucking accidents, trucking companies have much at stake. The sheer size of an 18-wheeler will increase the likelihood of serious injuries or fatalities in the event of an accident. That’s why trucking companies will immediately dispatch an experienced team of investigators to sift through evidence and extract details most favorable to them. That means finding evidence that could mitigate fault of the trucker, while scouring for comparative fault by other drivers. They know these cases have the potential to cost their company millions. 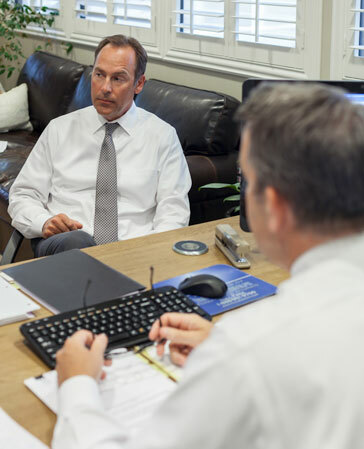 At the law offices of Rudolph & Hammond, our experienced truck accident attorneys know well how trucking companies operate, and we know what it takes to beat them. We urge clients – or potential clients – to speak with an injury lawyer as soon as possible after a crash so that we may begin conducting our own investigation with your best interest in mind. It’s important that this be done quickly because we aim to gather evidence before it is destroyed. We will fully investigate circumstances of the crash in order to identify whether there is any negligence on the part of the driver, employer, owner of the tractor, owner of the trailer or the company that contracted to have goods hauled. In many cases, these are all separate entities. With so many competing interests, you must ensure yours are protected. Our experienced truck accident lawyers recognize other road users are at a major disadvantage when involved in a collision with a large truck. These vehicles can weigh up to 80,000 pounds. Anytime someone is involved in a crash with a big rig, delivery truck, garbage truck or any other large commercial vehicle, results are too often catastrophic. In some situations, courts will allow victims of truck accidents to seek punitive damages, which will triple potential awards. 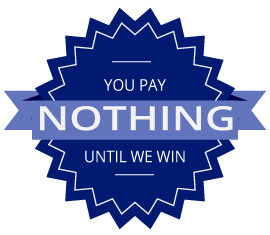 Punitive damages are granted in cases where a trucking company’s actions were especially egregious, and the court deems it necessary not just to compensate the victim, but to punish the wrongdoer. An example would be a company that flouts federal regulations and forces drivers to fudge delivery logs in order to beat competitors on delivery times. One could make a strong argument that such action was known to cause serious injury or death to other motorists. These injuries often require expensive ongoing treatments, including surgery, medication, physical therapy and rehabilitation. Victims often never recover to be exactly the same as they were before. It’s our goal to make sure you receive compensation to which you are entitled for your injuries and losses. That’s why trucking companies will immediately dispatch an experienced team of investigators to sift through evidence and extract details most favorable to them. That means finding evidence that could mitigate fault of the trucker while scouring for comparative fault by other drivers. They know these cases have the potential to cost their company millions. It’s important that this is done quickly because we aim to gather evidence before it is destroyed. We will fully investigate circumstances of the crash in order to identify whether there is any negligence on the part of the driver, employer, owner of the tractor, owner of the trailer or the company that contracted to have goods hauled. In many cases, these are all separate entities. With so many competing interests, you must ensure yours are protected. It’s not uncommon for these companies to reach out immediately to victims with a lowball settlement offer, trying to strong-arm them into a deal that will absolve the company of future liability. They are counting on the fact that victims are desperate in those early days to cover medical bills and other expenses. One should never speak to a trucking company representative – let alone sign any paperwork – without the involvement of a personal injury lawyer. In most cases, the amount to which truck accident victims are entitled far exceeds the initial settlement offer.